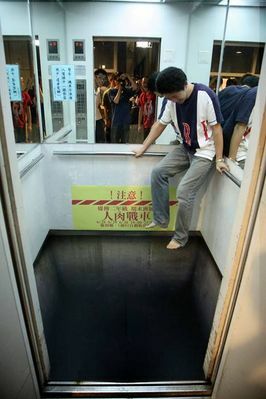 Realistic painting on elevator floor makes you think twice about taking this ride. Just like a Disney ride..
Have you ever stuck inside and elevator? I have never been stuck in an elevator.